Baby bananas wear a thin, bright yellow signature peel. As their name suggests, they are petite in size, averaging only three to four inches in length. Baby bananas have a very dense creamy texture and once ripe their flavor is rich and sweet with vanilla and caramel undertones. Baby bananas are available year-round. Baby banana plants are a member of the world's largest herbaceous plant bearing edible fruits, botanically known as Musa acuminate. The Baby banana is also known as the mini banana. It is trademarked by the global banana brand, Chiquita. Baby bananas were developed and marketed specifically as a snack banana for the children's consumer market. They are heavily promoted for their thin easy-to-peel peel and their unique sweetness for their size. Baby bananas contain little to no fat and are low in calories. They are high in vitamin B6 and contain the amino acid tryptophan which helps the human body produce mood boosting serotonin. 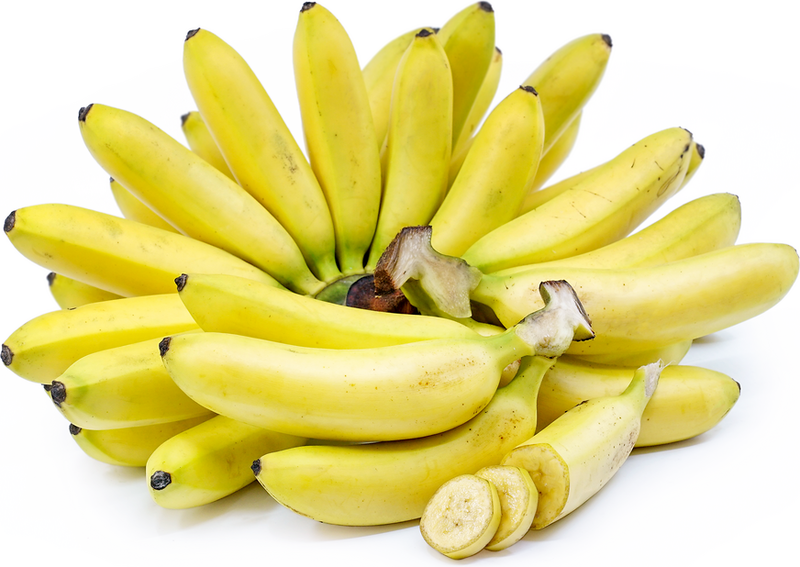 Baby bananas are high in fiber and potassium. They also posses a fair amount of phosphorous, magnesium, selenium, copper, zinc, iron and calcium. They contain vitamins A, B1, B2, C, E, K, Niacin and Pantothenic Acid. Baby bananas are a quintessential fresh eating banana and can be used as a dessert banana as well. Their sweetness lends to many recipes in various applications. Baby bananas can be a principle ingredient in smoothies, baby food, pudding, cakes, muffins, bread, cookies, ice cream and tarts. Native to Columbia, the Baby banana grows on a tree-size plant in bunches of “hands”. Each hand can contain anywhere from 10-12 bananas, the individual fruits are also called fingers. 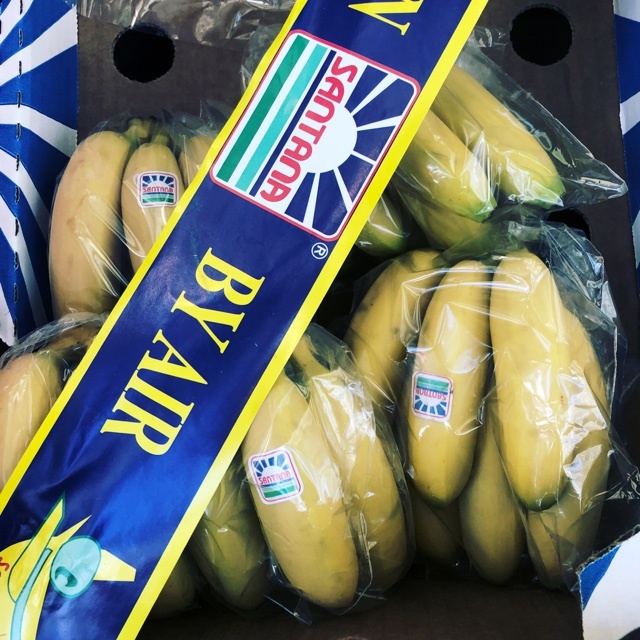 The bananas are harvested and shipped while still green allowing the consumer to decide their desired level of ripeness for consumption. Baby bananas grow best in wet tropical conditions such as South America, the Caribbean, Asia and Africa. The plants establish themselves quickly, often producing harvest within fifteen months after planting. 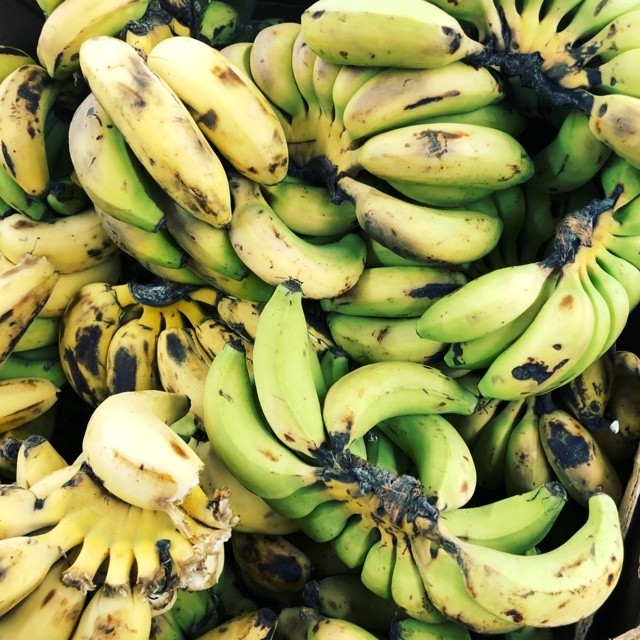 One of the greatest advantages of banana plants is that the herb successively produces fruit indefinitely without discrimination to seasons. 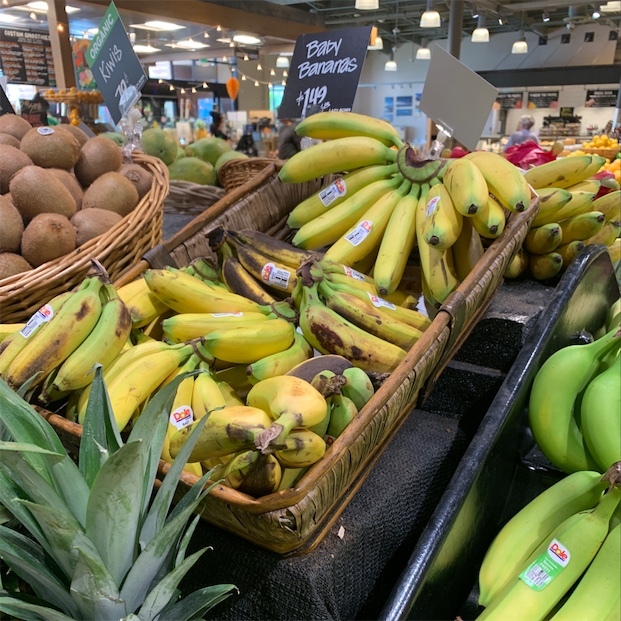 The few Baby banana varieties found in the commercial marketplace are Pisang Mas, originally from Malaysia, as well as Ladyfinger and Orito. Considered a staple to many outside of the United States, it is also known as a Finger, a Ladyfinger, a Lady Finger, or a Nino banana. Recipes that include Baby Bananas. One is easiest, three is harder. 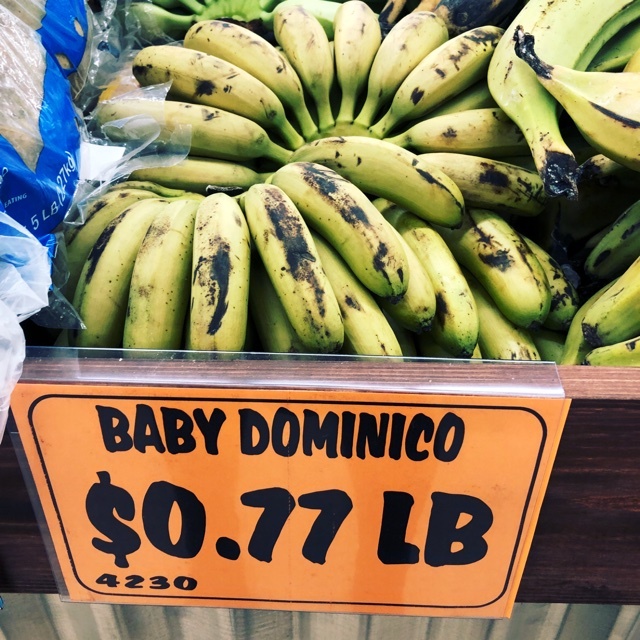 People have shared Baby Bananas using the Specialty Produce app for iPhone and Android. Sharer's comments : Baby bananas! 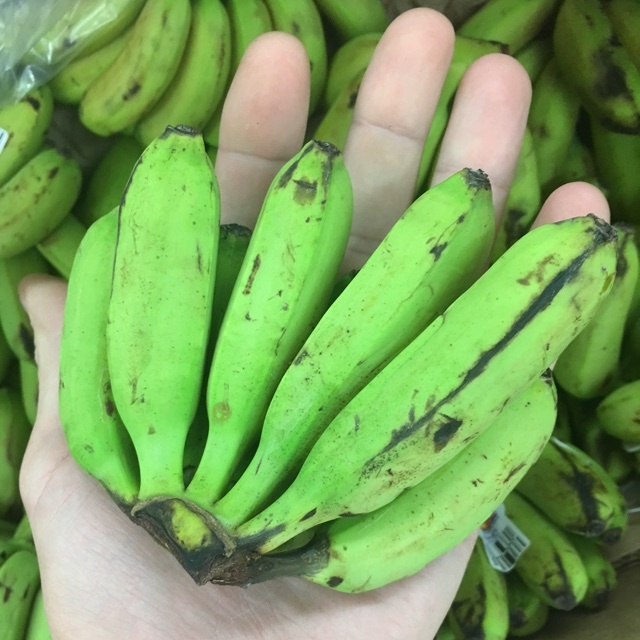 Sharer's comments : Baby Bananas spotted at Food Land Supermarket. Sharer's comments : Baby Bananas spotted at Carnival Supermarket. Sharer's comments : Baby Bananas spotted at Bastille Market Paris . 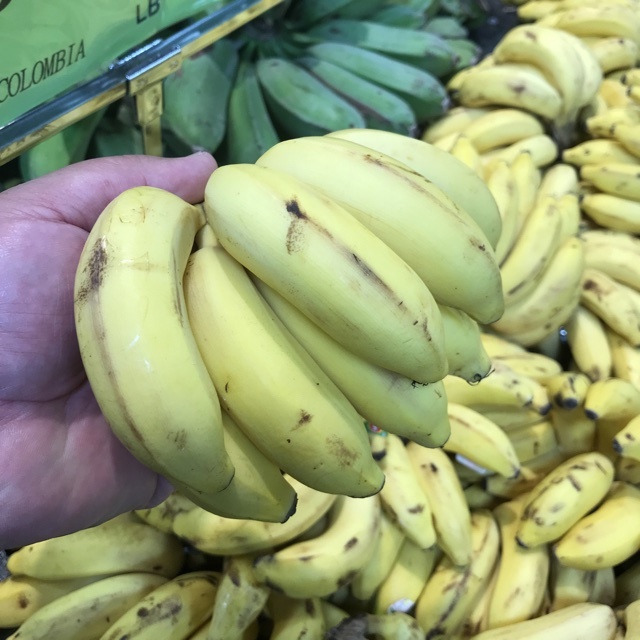 Sharer's comments : Baby Bananas spotted at Food Terminal. 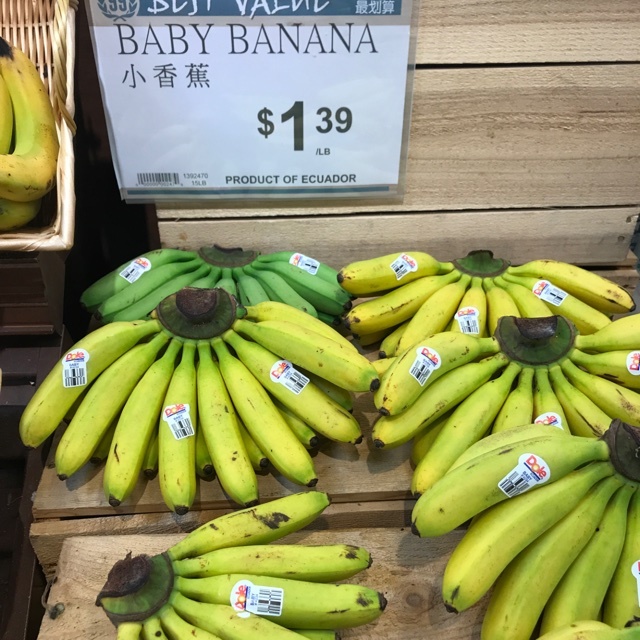 Sharer's comments : Baby Bananas spotted at Asian Food Center. Sharer's comments : I spotted Baby Bananas at Chappell's Hometown Foods! Sharer's comments : Baby Bananas spotted at Woodmans Grocery Store Eau Claire WI. 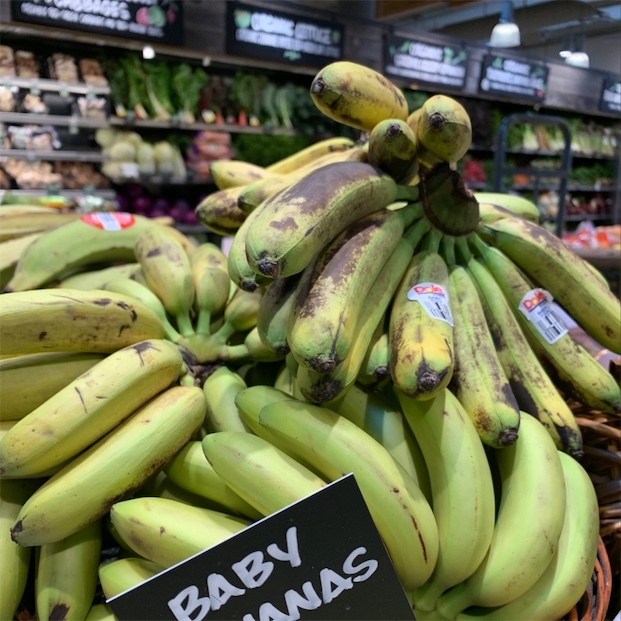 Sharer's comments : Baby Bananas spotted at 99 Ranch Market.